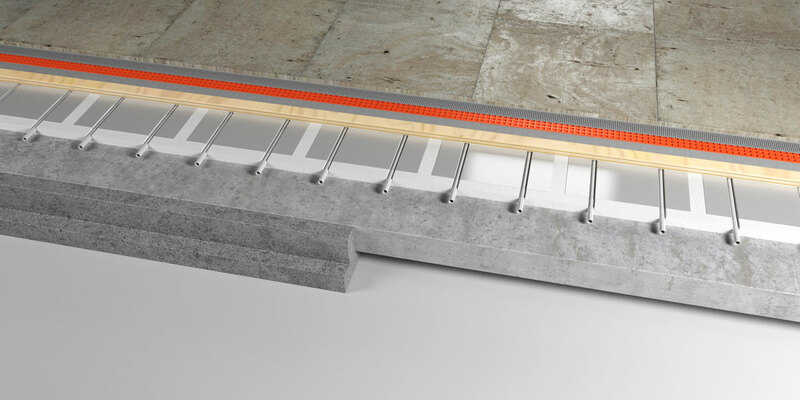 BaseTM Floating Plated EPS underfloor heating system, The rre-grooved EPS insulation panels offer quick installation with ability to be cut to exact size required. The Aluminium heat diffusion plates offer high heat conductivity and quick system response. BaseTM floating PLATED EPS system to incorporate 16mm PEX pipe to be installed to pre-grooved rigid EPS insulation panel. 0.5mm aluminium heat diffusion plate to be fixed directly into pre-grooved rigid EPS insulation panel. Installation and design in accordance with pipe layout design.